The Internet has catapulted our society from an industrial to a knowledgeculture. Everyone has access to information, long-distance communication hasbecome commonplace and potential consumers are just a few clicks away. However,while market entry for brands has become easier, long-term survival has becomemuch more difficult. Like in the Wild West, online it’s about the survival ofthe fittest, the winner takes all and paradoxically, in spite of thedemocratization of possibilities mentioned above, online power is concentratedin the hands of a few. These winners have one thing in common: they are awareof the cognitive bias that drives consumers. Amazon is the master of this. Their1-click economy is the perfect answer to our laziness and owes its success tothis extremely strong consumer insight. As Daniel Kahneman puts it: “A general“law of least effort” applies to cognitive as well as physical exertion. […] ifthere are several ways of achieving the same goal, people will eventuallygravitate to the least demanding course of action. […] Laziness is built deepinto our nature.” What seems extremely functional to the outside is in truth avery instinctive, emotional customer experience. Another strong consumerinsight, for example, is that too much content and clicks can overwhelm theconsumer and, as a consequence, affect the motivation to purchase (choiceoverload). When it comes to ecommerce, it's the small things which make the bigdifference. The order in which different purchase options are displayed alsoaffects our choice (framing). An understanding of cognitive bias is alsorelevant for offline businesses. In creating their successful model IKEArecognized that, despite the extra effort required, the consumer actuallyvalues self-assembled furniture more than they do pre-manufactured goods. This cognitive biasis therefore known as the IKEA-effect. Valeria Witsch heads the Strategy & Insights department at the SevenOne AdFactory since 2017. 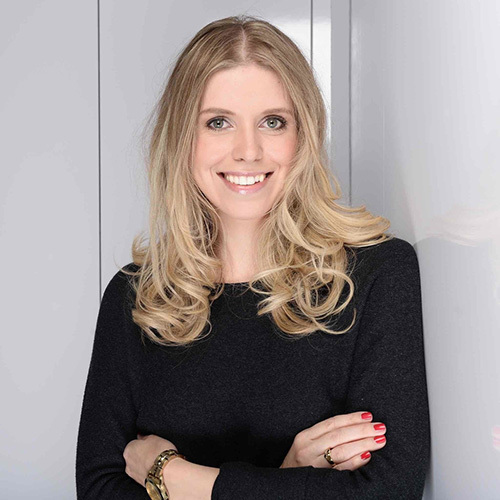 She made her career at the ProSiebenSat.1 Group as part of the SevenOne AdFactory Business Development team and the Group’s B2B-Marketing department. Valeria holds a Master’s degree in Behavioral Economics from Erasmus University Rotterdam. Her work focuses on branding strategies based on the observation and analysis of consumer behavior and market developments.